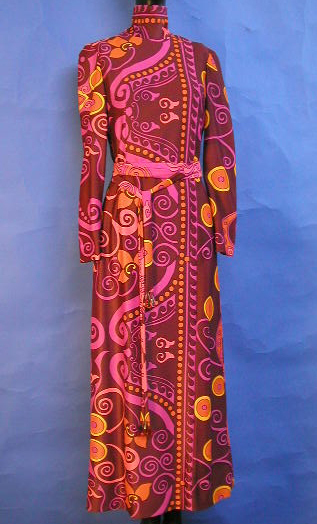 For more than forty years Bruce Papas sketched, draped and constructed elegant suits and dresses for a fashion conscious local audience. On now at the Lippincott Room at Smith & Caughey, Auckland (Monday 19 March - Saturday 31 March 2018), "A Certain Style: Bruce Papas" is an exhibition by the New Zealand Fashion Museum which features garments, embroideries and sketches from the Auckland Museum collection, as well as from the personal collections of a number of Bruce Papas' private clients. The following extract is taken from the publication A Certain Style: Bruce Papas by Doris de Pont, Jane Groufsky, and Kelly Dix, created in conjunction with Auckland War Memorial Museum Tāmaki Paenga Hira. In 1999 Auckland Museum acquired a large collection of original design sketches by master couturier Bruce Papas, and a small number of personal communications that Bruce had fondly held on to over the years. Alongside telegrams congratulating him on his 1961 Golden Shears win from fellow designers including Emma Knuckey, Bruce had kept letters from the women he had dressed - they gushed about how special they felt in his designs; they admired his handiwork. Throughout his decades-long career and across various establishments, Bruce maintained a close relationship with his clients. From Doreen Cameron, champion Waikato turkey farmer, to hypnotherapist and psychic Dormia Robson, Bruce’s clientèle was varied but united in their recognition of his gift. 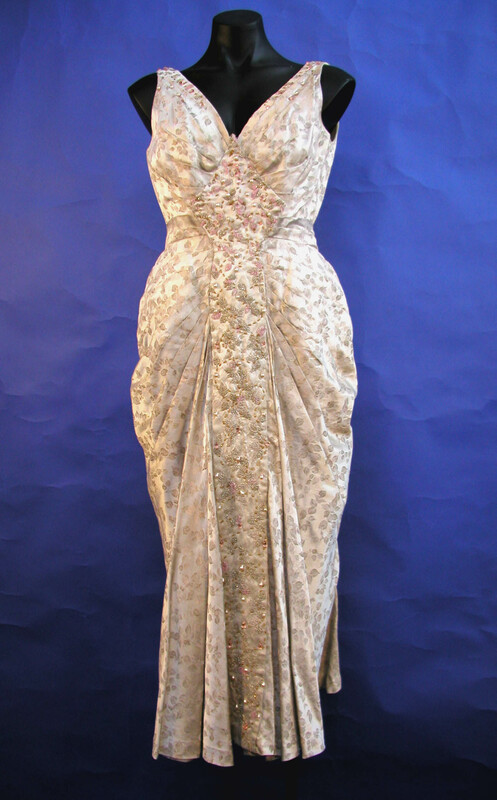 Five nascent years spent among the affluent and select clientèle of Ninette Gowns, the salon of couturière Flora MacKenzie, perfectly trained Bruce for the kind of work that he was to focus on throughout his career: bespoke gowns with beautiful details. It was here that he met several clients whom he would go on to dress for many years. Flora presented one such client, socialite Thelma Pardy, to Bruce with the instruction to “take good care of her”. Described by her niece Holly Ryan as a “larger than life” character, Bruce became close friends with Thelma and her husband, Dryden Pardy. 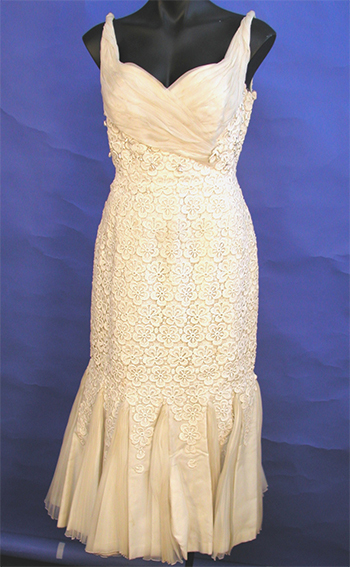 As the wife of a well-to-do dentist, Thelma travelled widely and threw exclusive parties at her beautiful house in St Heliers – each requiring a new gown, fitted by Bruce, and kept in a special section of her wardrobe dedicated to the designer. 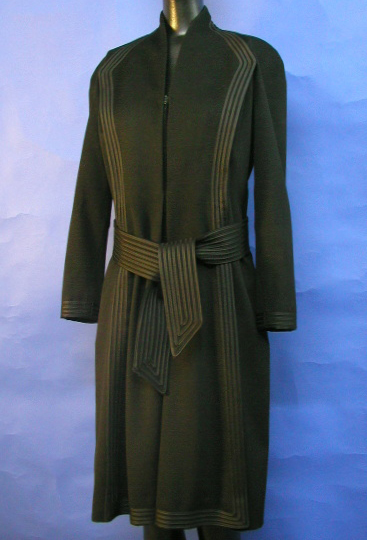 The collection of garments Thelma donated to Auckland Museum in 1999 reveal a penchant for greys, creams, and other soft, neutral tones. According to Bruce, this palette was a deliberate choice to flatter her “highly coloured” complexion and light auburn hair. Thelma favoured close-fitting bodices with skirts that flared out mid-thigh, but Bruce also tempted her into tapered skirts. 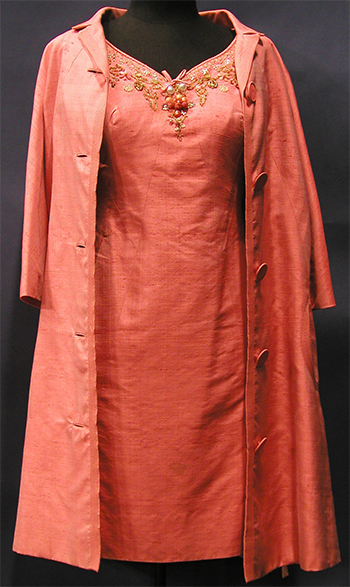 In response to her concerns that she would have difficulty walking, he ingeniously hid folds under seams or cut cloth on the bias, avoiding the need for a split which would disrupt the hemline. 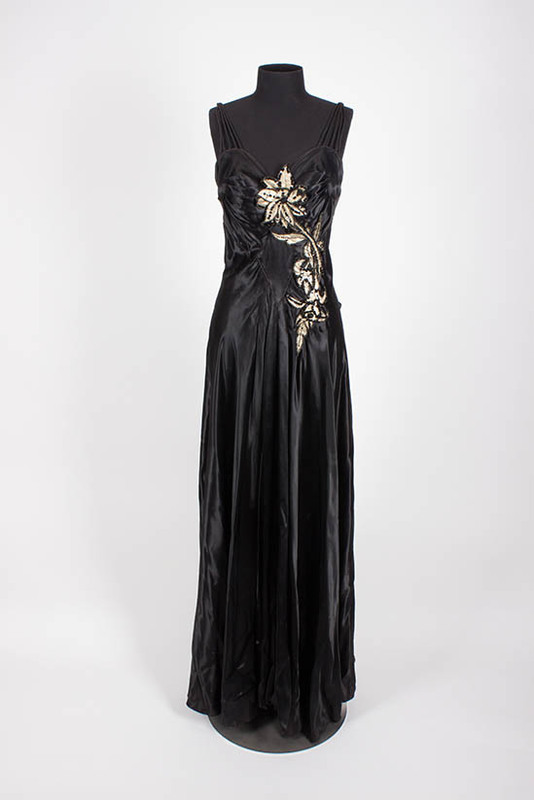 Image caption: Black satin evening dress, Bruce Papas for Ninette Gowns, 1940s. Gift of the estate ofThelma Pardy, Auckland. Collection of Auckland Museum, 2018.11.1. Reproduced with the permission of Bruce Papas. All Rights Reserved. Groufsky, Jane. 'A Certain Style: Bruce Papas', Auckland War Memorial Museum - Tāmaki Paenga Hira, Published: 27 03 2018.